This class is for the dedicated actor with some performance experience who is ready to seriously focus on all aspects of a musical production. This class will be at St. Matthew’s on 8th and Hudson Streets. Dress Rehearsal and Performances will be at the theater. The Wiz is a joyous modern retelling of L. Frank Baum’s classic children’s story The Wizard of Oz reflecting contemporary culture. 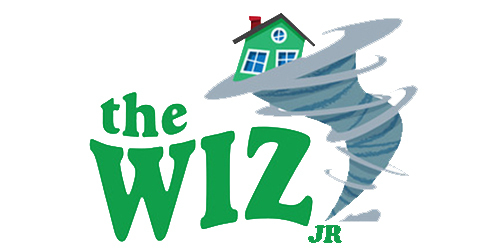 After Dorothy gets swept up in a tornado, she finds herself in the fantastical world of Oz. There, she makes new friends, battles evil witches, and seeks the aid of the all-powerful and mysterious Wiz. Ultimately, Dorothy finds that, if you believe with all your heart, you can always find your way home. With an infectious soul score, dynamic numbers, and endearing cast of characters, The Wiz is a joyous explosion of music, dance, magic, and heart to delight audience members of all ages. Payment Payment in full must be received to hold class spot. Attendance It is very important to be at all rehearsals. We understand absences due to illness, but do not register if you foresee multiple absences due to schedule conflicts. Refunds Students withdrawing at least 24 hours prior to the first day of class receive a full refund, minus a $25 processing fee. Students withdrawing after the first class, but before the second, receive a 50% refund. No refunds are given after the second class, regardless of attendance.